So its been a while since I blogged and I’m delighted to try out the new WordPress editor! Unlike most Google updates, I actually like this thing. It’s uncluttered with fewer and more useful tabs on the left, unlike its old self. Moving to more topical issues, I have decided to check out some local coffee shops in the new place I’m at. 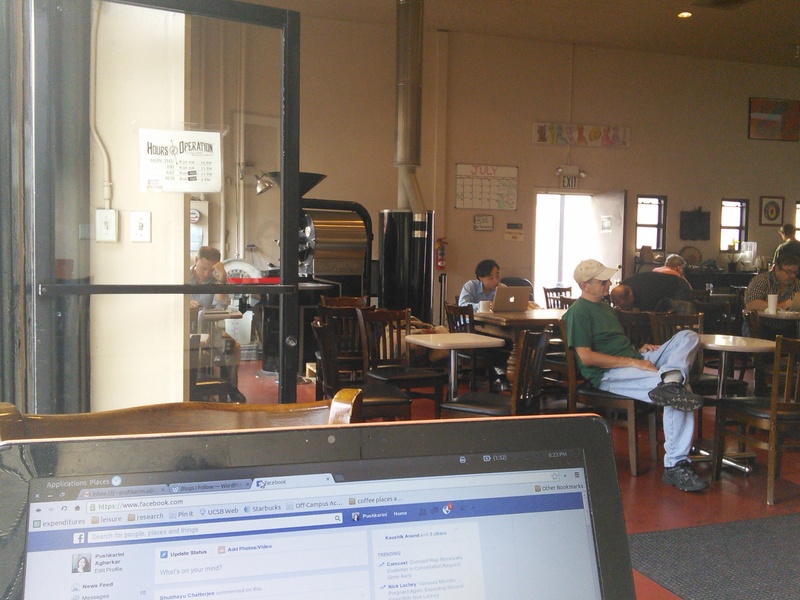 The first stop is at Dana Street Roasting in Mountain View. This is a cute little coffee shop but a little too hippie for me and not in a good way. 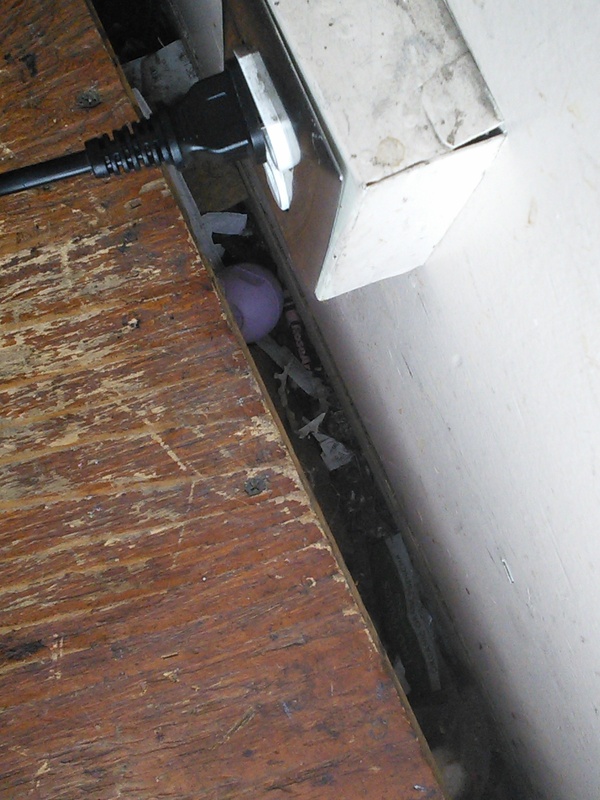 I pick a corner spot and find a treasure trove in the crack between the floor and the wall. No gum stuck to the bottom of the table. Check. Although I have decided to try a gooey drink (which I categorize as everything except plain coffee), they have some very good collection of coffees I might want to try out some day. I ask the owner if the almond latte has coffee. That’s how little I know about gooey drinks. He is a little surprised but goes on to explain, yes, it does indeed have coffee in it. 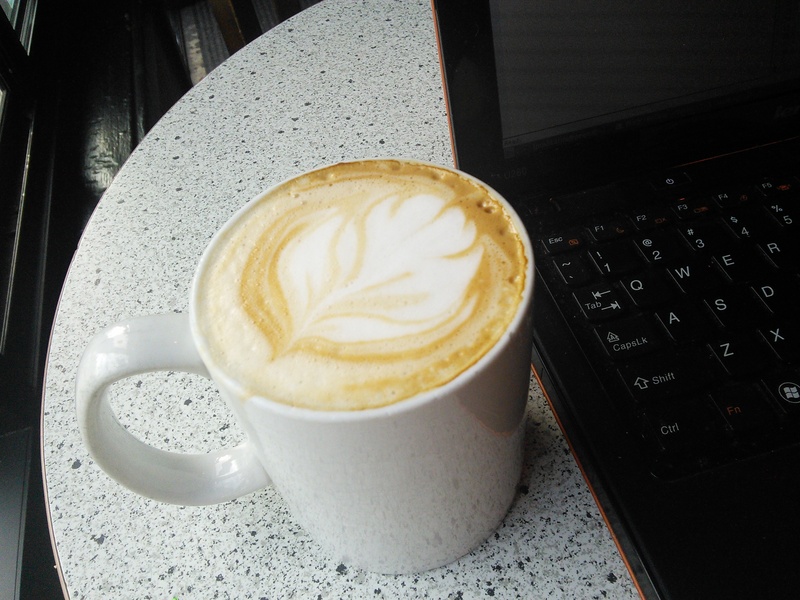 After making the difficult choice between almond milk and almond syrup while discarding rice milk as being a real possibility, I finally get my latte, woohoo. And its really good (do remember that I have nothing much to compare it to). The place also has an old coffee roasting machine. It would really do much better with air-conditioning instead. Other than that, the art is really so-so. The cookies and bars on the counter look questionable but that’s another area I have not ventured into. You could eat them and live for all I know. They also have a unisex bathroom so don’t miss this spot if you particularly fancy putting toilette seats down. What I definitely love is their choice of music. Good mix of indie and more indie. I’m coming back for sure because its so close to home.